The National Organization of Minority Architects (NOMA), started in 1971 by a group of African American architects at that year’s American Institute of Architects conference in Detroit, Michigan, is holding its 44th Annual Conference in Los Angeles this week. The conference aims to bring together a diverse group of professionals with the aim of advancing the standing of minority architects throughout the field. It will run from Wednesday, October 12 to Saturday, October 15, 2016. In preparing for the conference, The Architect’s Newspaper (AN) interviewed Gabrielle Bullock, FAIA, LEED AP BD+C, NOMA member, and director of global diversity for Perkins+Will, to discuss diversity issues within the architectural profession. The Architect’s Newspaper: What does the term “diversity” mean to a large, globally-based firm like Perkins+Will? “We believe that inclusion spurs creativity and that innovation is born from an engaged culture of diverse people and ideas. In this global environment, we are committed to building an organization that reflects the diversity of the communities and clients we serve. You are the Director of Global Diversity at Perkins+Will, can you please describe your position and how it came to be? In 2013, I proposed and designed an approach to creating a more diverse, inclusive, and engaged organization. As one of .2 percent female African-American licensed architects in the US (and usually the “only one in the room”) I was personally committed to championing the advancement of diversity and inclusion in Perkins+Will and the profession. As an architect working with a global firm working all over the world, it became clear that we should mirror the societies and clients we serve. We believe that a more diverse team (in all senses of the word) would provide more innovative, relevant and rich solutions to our work and culture, and ultimately make us more successful. I developed an outline of what my role and the program would focus on along with preliminary expected outcomes and goals. After my appointment as Director of Global Diversity, I took a deep dive into the firm, visiting each office and having honest and at times uncomfortable discussions we call “listening tours.” I asked the staff what they thought about diversity and inclusion, and got unique perspectives. In some offices, the consensus was that we needed to improve racial diversity, in others, concerns surrounded issues of gender and the inter-generational workforce. The yearlong process gave me an idea of the challenges Perkins + Will faces and how to address them uniquely. It was clear that we needed training. I engaged a Diversity and Inclusion (D+I) specialist, Global Diversity Collaborative, to deliver a half-day workshop to the leadership in each office. Through that process, each office determined what their specific challenges were and created their own strategic plan. We made this an accountable program and now continually assess progress according to our stated goals. The initiative is part of our culture and part of our evaluation process: We try to look at everything through a diversity lens. The board, CEO, and office leaders get a progress report from me every year. We now have something called a Diversity+Inclusion+Engagement Strategic Plan with qualitative and quantitative metrics focused on all aspects of our organization like office culture, cultural advocacy, talent retention and recruitment, leadership and commitment, and educational outreach. Fascinating. What are some of your specific responsibilities as Director of Global Diversity? As Director of Global Diversity, I am the strategic and organizational champion tasked with conceptualizing and driving the Diversity+Inclusion+Engagement Strategic Plan throughout the firm. My primary responsibilities include: leading the Diversity Council; communicating Perkins + Will’s strategy, mission and vision internally and externally; leading the development of diversity education and awareness strategies impacting workplace culture, recruitment, and retention, as well as marketing, pipeline outreach, and leadership; and developing metrics to monitor progress toward the fulfillment of the Diversity+Inclusion+Engagement Strategic Plan. For Perkins + Will, engagement is the key action point—the step that makes diversity and inclusion matter, because it points to an individual’s level of influence on a team or a project, not just their presence in the room. My work is not “just an initiative” or lip service from a large firm. For us, this is a call to action, not an exercise. We are loud, driven, and clear: We promote our mission, call for commitment and accountability, and see this work as being about advancing the culture at Perkins + Will, not about simply numbers—we are integrating the plan in all business practices across the firm. Diversity is purposeful and deliberate. What would you say are some of the bigger diversity-related challenges the architectural profession is facing in the long term? The most significant challenge is the lack of racial and ethnic diversity of the profession, specifically with African-American and Hispanic representation. The profession should mirror the communities and society it serves. With an increasingly diverse population in the US and globally, racial demographics are woefully underrepresented in the architecture profession, overall. Another challenge is gender equity and representation in the profession. Issues around work-life integration, pay equity, and career advancement are common issues in the profession at large. Increasing generational differences in the workforce are also a challenge. As architects, we will have to examine, adapt, and advance the way we work intergenerationally if we want to retain emerging professionals and attract future generations to the profession. How can a large, global firm like Perkins+Will become a diversity leader in architecture and beyond? Be bold and be brave! Be loud, clear, and driven! Also, commit to diversity as a core value and not just the right thing to do. With any corporate value or goal, there are strategies and accountability. As an example: The architecture industry embraced sustainability as an imperative to survival. Now sustainability is in the DNA of our profession, and if you aren’t doing it, you are irrelevant. Making diversity a core value should be the same. At Perkins+Will, because our advocacy goes beyond our own firm to the profession as a whole, we are involved with leading and participating in national initiatives that aim to address equity and diversity in the profession. As an appointed member of the the AIA Equity in Architecture Commission and Implementation Team, I am helping to develop a framework for a well-conceived and thoughtful action plan, and making recommendations for advancing equity, diversity, and inclusion in the profession. The intent is to create greater urgency within the profession and the Architecture Engineering and Construction community about the tremendous need to have a better representation of in the architecture field. Leadership starts at the top of the organization: Our CEO, Board of Directors, office leaders are all committed to advancing the firm’s Diversity+Inclusion+Engagement goals. By getting involved, taking a leadership role and actively advocating for change, any large firm can become a leader in diversity, equity, and inclusion in the architecture profession and beyond. I am frequently asked to speak on the issue of the value of diversity for groups and organizations like Greenbuild, IIDA, ASID, National Organization of Minority Architects, and AE Advisors as well as for publications like Metropolis, Architectural Record, and Boutique Design. I also get invited to share insight with local architectural and engineering firms: All of this is part of being a leader. The Directory of African American Architects recently surpassed the 2,000 member mark. African Americans make up about 12 percent of the population in the U.S. but only about two percent of registered architects are African-American, with African American women consisting of .02 percent of the overall total, as well. What do you see as some of the ways to change that underrepresentation? Strengthen the talent pipeline by increasing outreach, awareness, and exposure to young African-American children. Often, architecture is not presented as a viable career path to the underrepresented youth. We can do this by mentoring and K-12 outreach. Reshape recruitment teams to represent a cross-section of genders, ages, and races in order to attract the more diverse candidates we want. Partner with Historically Black Colleges and Universities (HBCUs) to proactively recruit and mentor students. We are in the planning stages of creating such a program. Examine community college and university transfer requirements to attract community college students to accredited programs. Can you provide some general diversity statistics for Perkins+Will? How does the firm stack up against other firms and the profession overall? I do not have demographic statistics on other firms. However, below are statistics compared to the AIA. Since implementing our Diversity+Inclusion+Engagement Strategic Plan, we have increased gender and racial diversity, though modestly so. We recognize this is a journey and not a sprint, so it’s the long view that’s important for us. The diversity of our leadership ranks has steadily improved over the last three years as we deliberately focus on gender, racial, and generational makeup of our Leadership Institute and emerging professionals programs. At the individual office level, have changes increases in diversity among the staff broadened the firm’s client pool correspondingly? Is there a relationship between the what the office looks like and what sorts of projects get taken on? As we’ve increased [the] diversity of our staff there has not necessarily been a direct correlation to the types of clients we have. 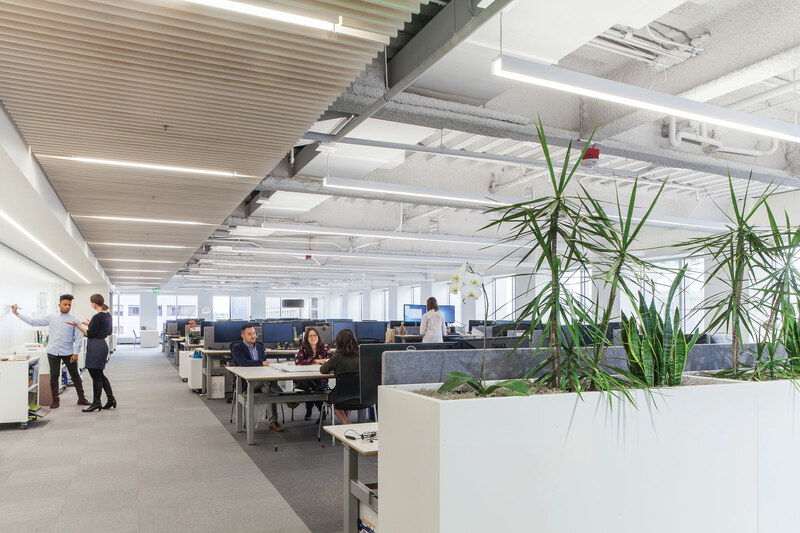 However, with a more diverse and engaged talent pool that embodies varied cultural and community connections, there is a cultural awareness and insight brought to the design and team, and in some cases, a stronger cultural connection to the client. This connection between our work, our people, and the communities we serve absolutely makes for a strong and culturally relevant design solution. In addition, I would say the more broad our talent pool, the more broad our client and project opportunities. There have been cases where a more diverse team that reflects the diversity of the client has been a competitive advantage. Conversely, there have been situations in the past where our team was not diverse enough, did not reflect the diversity of the client, and was at a disadvantage. Can you please speak to some of the work you have done with HBCUs in an effort to increase African-American interest in architecture at the grade school and college levels? In its final planning stage, the Perkins+Will/HBCU Partnership Program’s goal is to strengthen the academic pipeline of underrepresented groups. With that in mind, Perkins+Will and the deans of the HBCU architecture schools collaborated to create a program that would provide mentoring, counseling and support to HBCU students in a comprehensive manner. Career Fairs: A local team of Perkins+Will staff participates in an annual regional career fair of the HBCU’s by geographic location, pairing the HBCU and P+W office closest to the school. Annual Office Visit: Perkins+Will will host HBCU students for a half day office visit including office tour, project presentations, and resume/portfolio review. Lecture Series: Working with HBCU leadership, Perkins+Will will develop a lecture series to be curated around relevant architectural practice and design. The lectures will be delivered on each HBCU campus on a rotating basis and virtually across the others. Through a lecture series we can harness the vast wealth of knowledge and expertise within Perkins+Will and other firms. Our Atlanta office piloted the Career Fair and Office Visit with Tuskegee University this past spring with tremendous success. We have seen the positive impact we have on students’ career development simply by investing our time and knowledge. We were fortunate enough to have hired a Tuskegee graduate as a result of these activities.